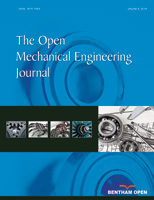 The goal of this study is to propose a new theoretical approach for the analysis of the impact of the double circular arc gear meshing. The gear meshing impact dynamic model for four different meshing states was firstly built in the gear system. According to the mechanical dynamics and dynamics of the gear system, the reasons for the meshing impact and the impact type of double-circular-arc gear were analyzed in the paper. The content of the paper covers: (i) analysis of the mechanism of meshing impact; (ii) the practical meshing impact process; (iii) establishment of meshing impact model; (iv) solution of the meshing impact radius; (v) calculation of the meshing impact force in theory. The reverse method and the graphing method were used to determine the starting positions of impact and its coordinate formulas were built. Formula of impact velocity, impact force and impact radius were also established. Impact force is calculated with formulas constructed above. This paper’s target is quite innovative and applicable and the paper gives a new way for double circular arc gear meshing impact research.